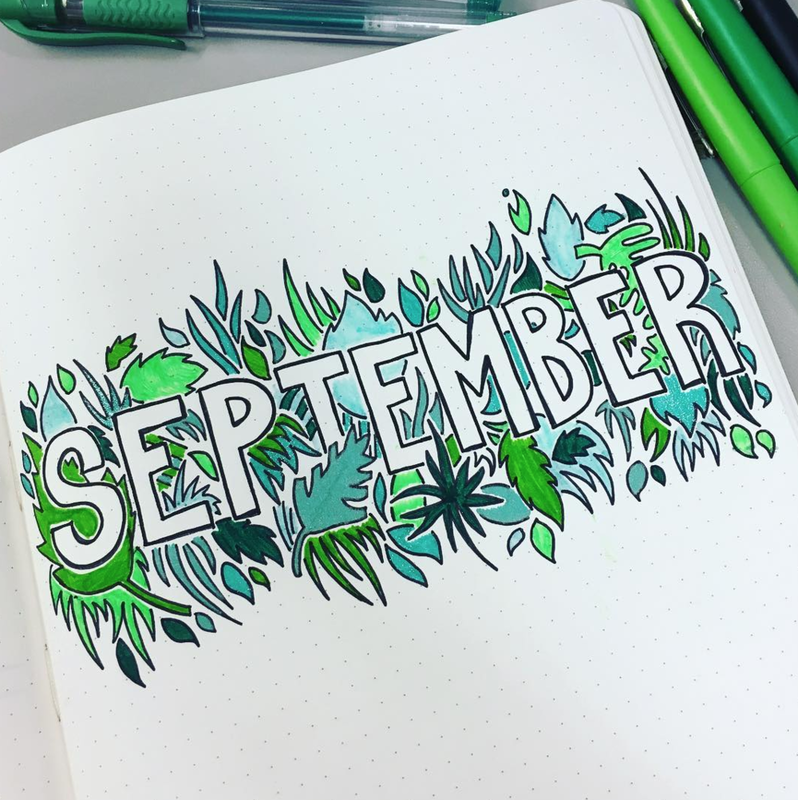 September is almost here and it's time to set up your monthly pages in your bullet journal. How will you layout your pages? Will you do a cover page, calendar page, goals, to-do's, and upcoming events? Here's 10 inspiring monthly layouts to get you motivated. I love having a different theme to each month. I like to think about what I love about the upcoming month and then draw some doodles that help me identify the unique traits of that month. It's great to get inspired by what others are creating as well. Here are 11 bullet journal spreads to help you create your own pages. 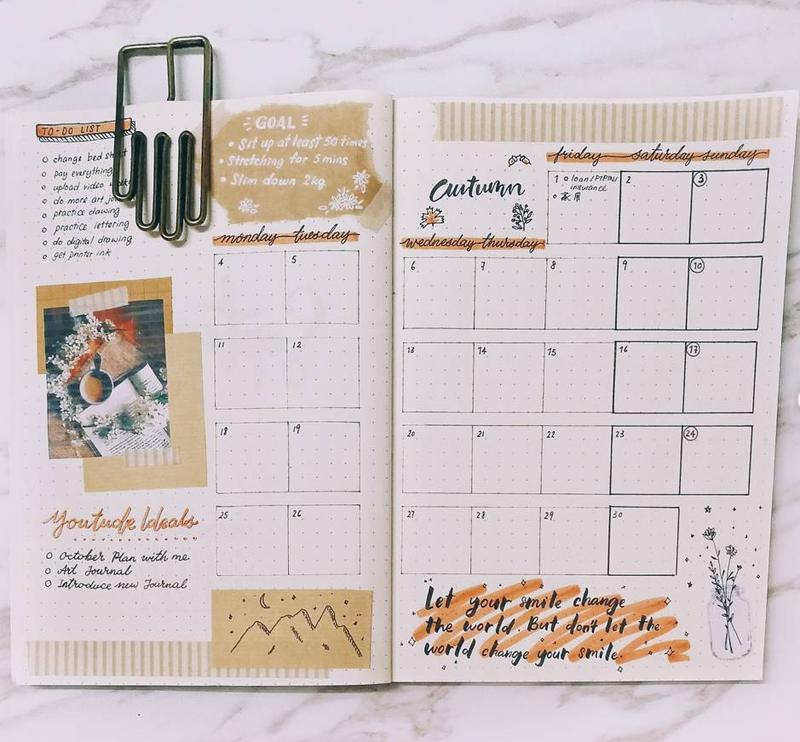 Lyssalouboley created a gorgeous monthly spread featuring autumn leaves and foxes. Moonstarsbujo created a starry minimalist monthly cover page. 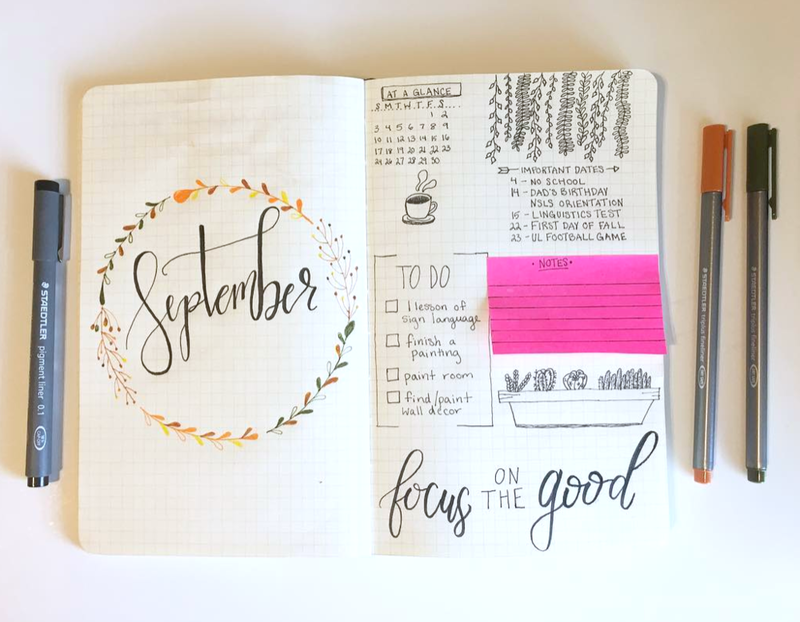 This spread from a.bit.of.color has a pretty September wreath on one side and then monthly goals, important dates, and a quote on the other page. 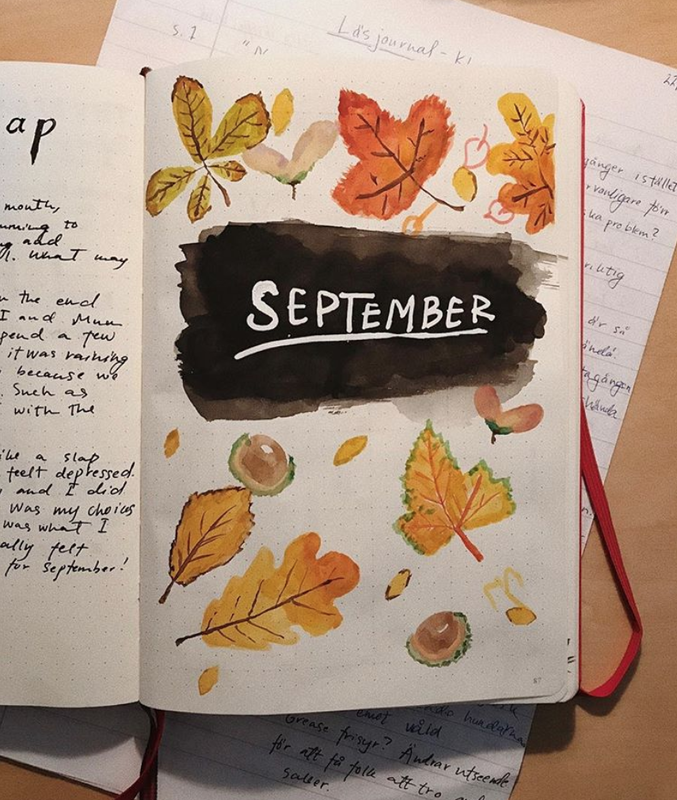 Bujo_sweden made a colorful September page filled with autumn leaves. September doesn't have to be fall leaves. I love this bold green cover page from letter.a.day. This spread from Yokeching820 is so nice I included both the cover page and the monthly layout. I'm a fan of adorable Pusheen! So when I came across this adorable fall cover page from Acciomommy221b, I had to include it in this post. Pusheen in a scarf surrounded by leaves, acorns, fruit, and mushrooms. So sweet! Timid.bujo made a festive fall spread for September. The left shows a wreath with pinecone spray and leaves blowing across the bottom. On the right is a monthly calendar along with boxes for birthdays, holidays, and to-do list. Eleonora949 created a sassy succulent September cover page. 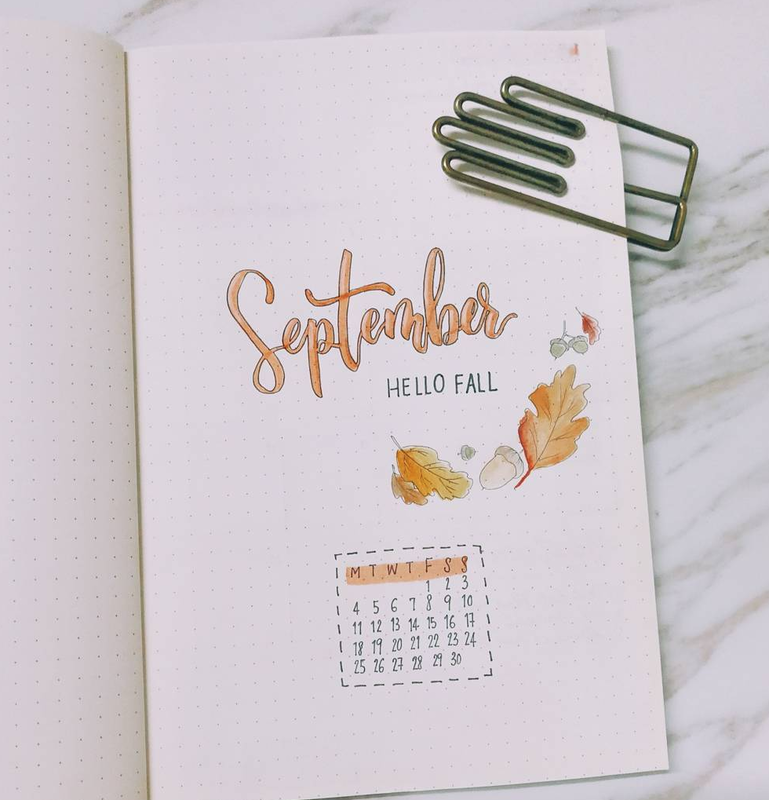 What will you put on your September pages? I'd love to hear! Let me know in the comments below!